You will feel like Cinderella when you step inside The Perfect Bridal Room. It's been servicing happy brides in Aberdeen for many years now. For a location that looks fresh from the films, Leith Hall is a glorious expanse situated amidst celebrated grounds, ideal for couples with a penchant for privacy and a sheltered, far-flung locale. 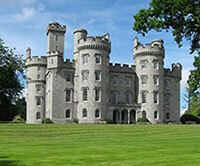 It's located 35miles from Aberdeen centre. If you've planned a princess themed wedding then Cluny Castle is an ethereal environment to transport you to regal realities. 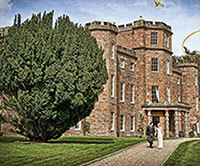 Elitist and award winning, it's one of Scotland's most successful wedding venues and hotels. 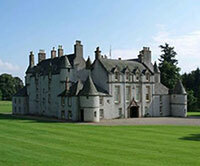 If romance is what you require then Drum Castle is a prime spot. Situated between Drum Park and the Royal ancient Forest, the castle was built in the 13th century and possesses its own Victorian charm. Choosing a good wedding Photographer is an essential task! Here are the top ten Photographers in Aberdeen, they all have an excellent reputation and come highly recommended by married couples. After taking a look at their impressive portfolios you will trust them to capture your all important and quirky wedding moments, the ones that'll keep your blissful wedding memories alive forever.